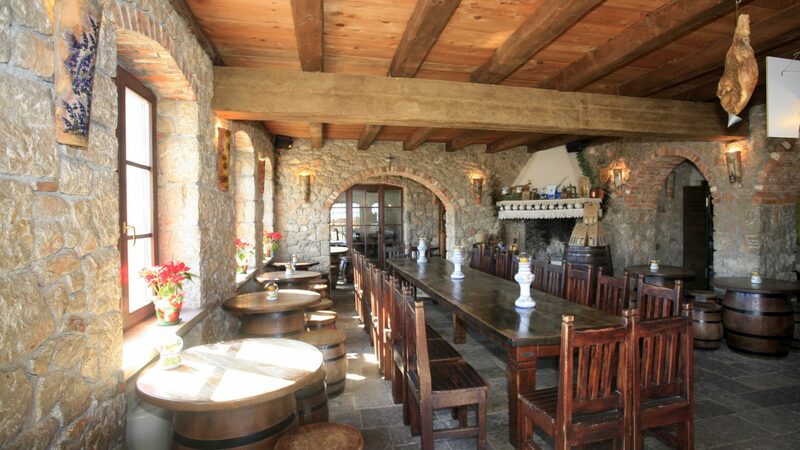 The word ‘konoba’ describes a traditional tavern of coastal Croatia. Such places are usually associated with Dalmatia region, but one may find them in all parts of the country, especially those close to the sea. Usually situated in stone houses and having atmosphere of times long gone, konobas are a great place to be introduced to Croatian cuisine. From octopus under peka bell to Dalmatian pasticada meal, these places offer tasty local delicacies, made by chefs who know what to do with fresh ingredients. A lot of their recipes come from old cookbooks, some possibly even hand-written by elders of nearby villages. The featured photo above was taken on Island Krk of Kvarner Region, in the small town called Vrbnik. 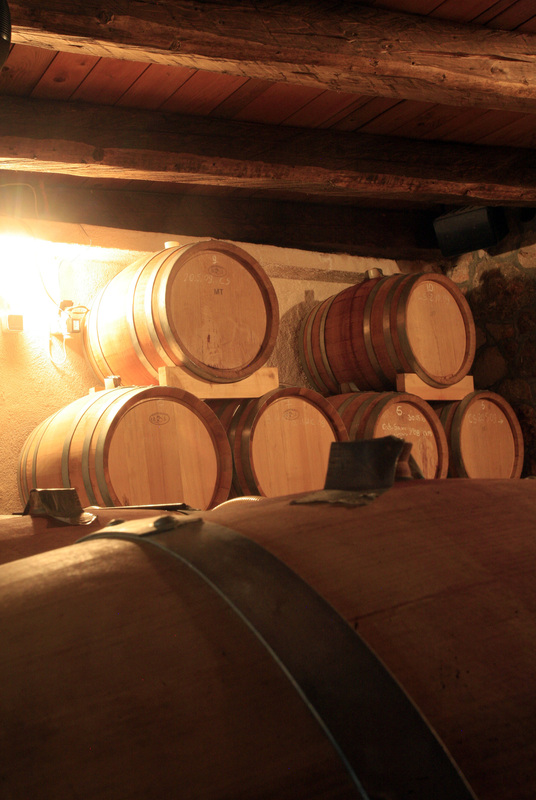 It is a detail from interior of konoba called Nada that is located in a former wine cellar. 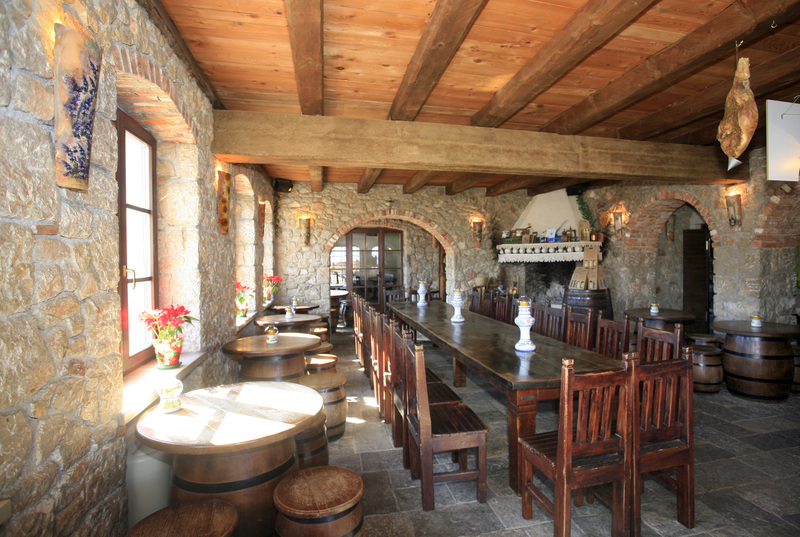 The owners also greet guests in a more-modern restaurant on the top floor and serve them wines from their own yards. The most dominant kind is called zlahtina, which is also one of the symbols to Vrbnik Town. In addition, the owners rent a charming stone-estate that has a rather interesting unique feature: it was the residence in which Croatian bishop Josip Bozanic spent his childhood. Visit the official website of Nada and consider having a lovely stay in Vrbnik.